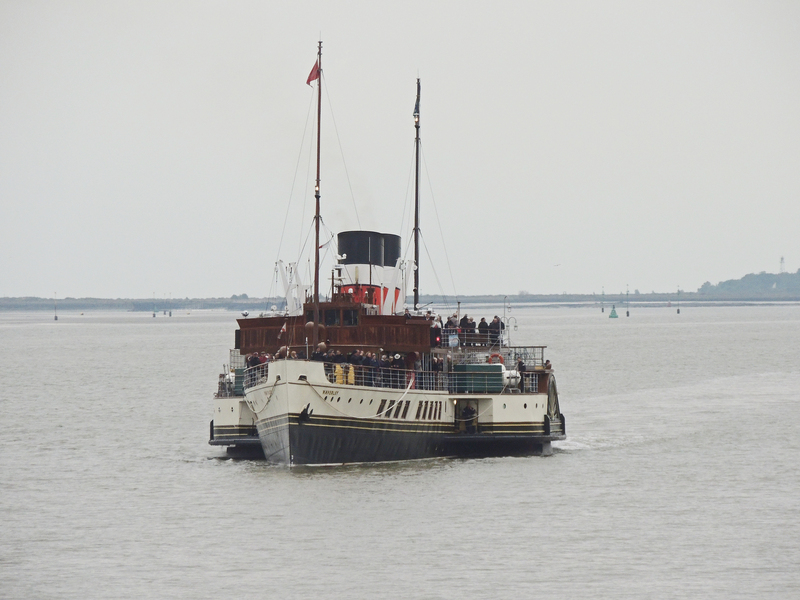 The PS Waverley is the oldest surviving passenger-carrying sea-going paddle steamer in the world. Built in Glasgow in 1946 for the LNER railway she carried rail passengers from Helensburgh on the Clyde estuary along Loch Long to Arrochar. In 1948 the railways were nationalised and shipping services passed to the Caledonian Steam Packet Co which continued to operate Waverley on the Helensburgh – Arrochar route. In 1973 CSP became part of Caledonian MacBrayne and they immediately took the decision to withdraw Waverley from service. 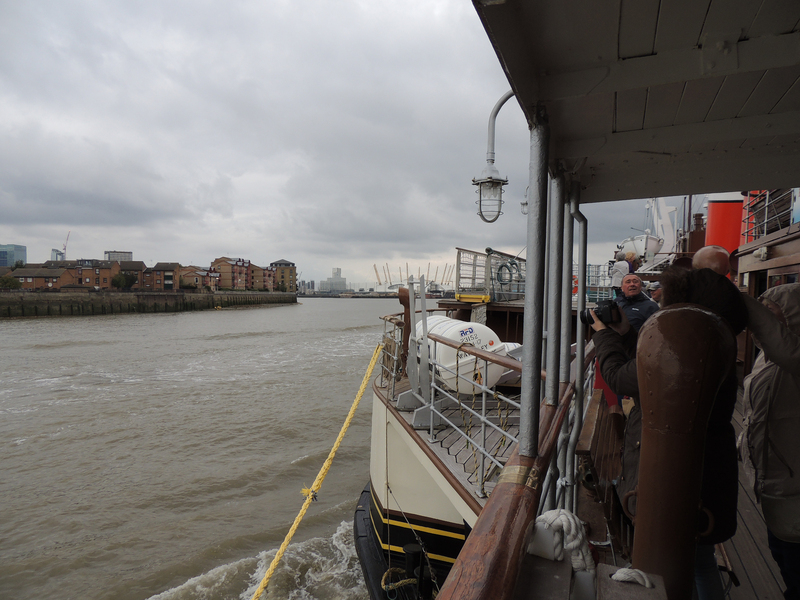 Anxious to ensure preservation of this historic ship they sold it to the Paddle Steamer Preservation Society for £1. 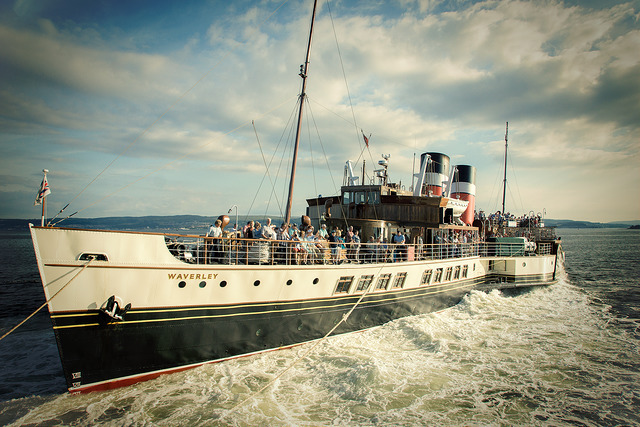 PS Waverley was restored to good order following a fund-raising campaign and entered into service doing tourist trips along the River Clyde. 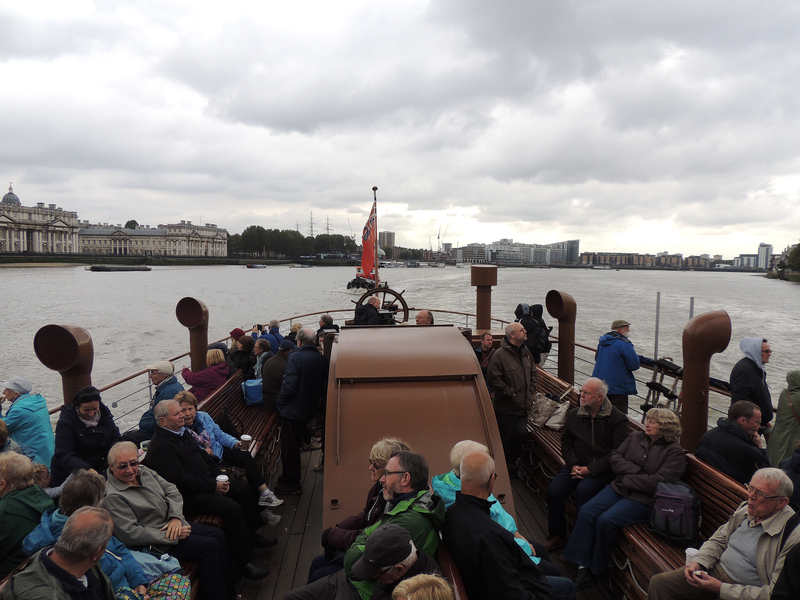 It also tours the UK outside of the summer season doing river and coastal trips. It has been declared part of the National Historic Fleet.